Chanteur et pianiste US né le 9 Janvier 1940 à Lenapah (Oklahoma). "Big" Al Downing, tout en accompagnant Wanda Jackson, a débuté une petite carrière solo en 1958 sur le label White Rock. 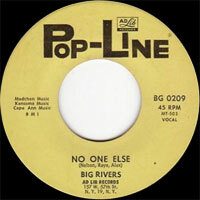 Big Al a ensuite été sur de nombreux labels dont Challenge (1958), Carlton (58-59), V-Tone (60-61), Kansoma (62), Chess (62), Pop-Line (62), Lenox (63) et Columbia Records (65). 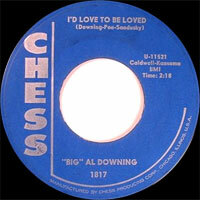 Big Al Downing est devenu un pianiste réputé à Nashville (Tennessee). Il est décédé le 4 Juillet 2005 à Leicester (Massachusetts). 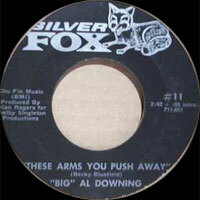 Big Al Downing was a unique if unsung figure in the annals of popular music, becoming one of the first African-Americans to enjoy success in the white-dominated realms of rockabilly and country. So varied and checkered was his long career that he even cracked the disco charts. Born January 9, 1940, in Lenapah, OK, Downing was one of 12 children, joining his father and three siblings in a family gospel group. At age ten he began teaching himself piano and by 14 he was performing local events, drawing inspiration from his idol Fats Domino. 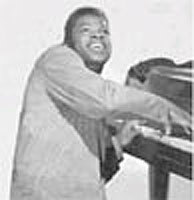 In fact, Downing not only won a Coffeyville, KS, radio station talent contest covering "Blueberry Hill," but his performance so impressed local rockabilly singer Bobby Poe that he invited the young pianist to join his backing band, the Rhythm Rockers (soon after rechristened the Poe Kats). 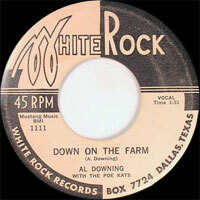 Downing turned down a basketball scholarship from Kansas State University to accept the offer, and after several tours of the Midwest the group signed to the Dallas-based White Rock label to cut two 1958 singles: the first, "Down on the Farm," was credited to Big Al Downing & the Poe Kats, while the follow-up was credited to Poe. Downing brought to both a gritty, R&B-inspired edge largely absent from most rock & roll records of the time, even recalling Jerry Lee Lewis with his frenetic piano playing. Neither White Rock release was a hit, but the Poe Kats nevertheless caught the attention of rockabilly spitfire Wanda Jackson, who tapped the group as her new backing unit. 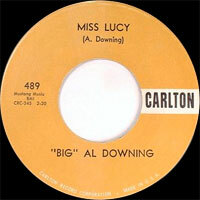 Despite touring behind Jackson, Downing & the Poe Kats still found time to cut a second White Rock side, "Miss Lucy," which the Carlton label licensed for national distribution. Carlton set up the next session at producer Cosimo Matassa's New Orleans studio, site of Fats Domino's greatest achievements. Backed by Crescent City session aces like Mac Rebennack (the future Dr. John) and Alvin "Red" Tyler, Downing cut 1959's "When My Blue Moon Turns to Gold," but again the disc went nowhere and he and the Poe Kats resumed their work with Jackson, cutting the classic Capitol sessions that yielded her 1960 global smash "Let's Have a Party," which features Downing on piano. 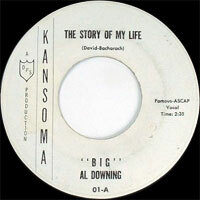 Over the next 18 months he headlined three singles for the V-Tone label -- "Yes, I'm Loving You," "Words of Love," and "So Many Memories" -- but solo success remained elusive; a 1962 cover of Marty Robbins' "The Story of My Life" first cut for Downing's own Kansoma imprint nevertheless piqued the interest of Chess, which reissued the disc nationally to little avail. Kansoma's last-gasp follow-up, "The Saints," was at least something of a pyrrhic victory: Domino later covered its b-side, "Heartbreak Hill." In 1963 Downing signed to the Lenox label and traveled to Nashville to cut a session with Little Esther Phillips. 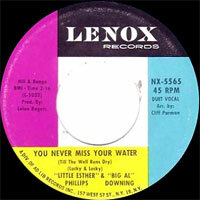 The resulting duet "You Never Miss Your Water (Till the Well Runs Dry)" proved a surprise hit, reaching the number 73 spot on the Billboard pop charts. The solo follow-up, "If I Had Our Love to Live Over," earned little notice, however, and a year later he resurfaced on Columbia with "All I Want Is You." 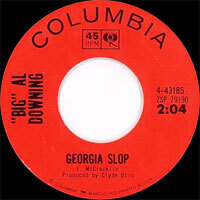 The subsequent "Georgia Slop," a cover of the Jimmy McCracklin tune, ranks among Downing's most incendiary performances, but it too was a commercial failure and his recording career ground to a halt. He spent the next several years as a hired gun, touring behind everyone from Johnny Mathis to Dottie West to his boyhood hero Domino. When he finally returned as a headliner with a 1969 re-recording of "The Saints," issued on the Silver Fox label, he shunned the rock & roll trappings of his earlier efforts in favor of a country-soul sound. The follow-up, "Melody of Soul," which fused three Four Tops hits, further established the new status quo, but again Downing found the charts impenetrable and after one final disc, "Give Me Good Loving," his recording career again went into limbo. Downing did not resurface until 1973, landing with Chess' Janus subsidiary for "Thank You Baby." 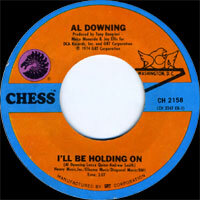 When the following "I'll Be Holding On" began generating interest at radio and -- more surprisingly -- nightclubs, Chess reissued the track on its own imprint, and it emerged as one of the earliest disco hits, cracking the Billboard R&B Top 40 and reaching number 85 on the pop charts. Chess had high hopes for its sequel, "Gimmie Some Lovin'," but the record tanked and the label terminated Downing's contract. His lone Polydor release, 1976's "I Love to Love," met a similar fate and the singer again dropped from sight, cutting his already-tenuous ties to dance music to return to his country music roots. His 1978 Warner Bros. debut, "Mr. Jones," immediately hit the Billboard country Top 20, and the subsequent "Touch Me (I'll Be Your Fool Once More)" proved even more successful, reaching the number 18 slot. With 1979's "Midnight Lace" and "I Ain't No Fool," Downing reached only the lower rungs of the Nashville charts, but with 1980's "The Story Behind the Story" he returned to the Top 40. Despite "Bring It on Home" reaching the number 20 position, Warner nevertheless declined to extend Downing's contract, and he went M.I.A. for two years. 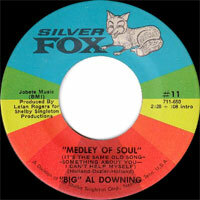 When Downing reappeared with 1982's "I'll Be Loving You," he was the flagship act of the fledgling Team Entertainment label. 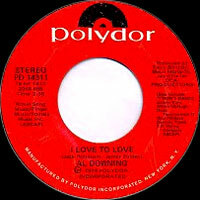 This maiden release still slipped into the number 48 spot, although the subsequent "Darlene" and "Let's Sing About Love" managed to climb only into the mid-sixties. 1983's "It Takes Love" would prove Downing's final Top 40 country entry, although his final Team releases, 1984's "The Best of Families" and "There'll Never Be a Better Reason for Bein' Wrong," both charted. Downing next recorded for Vine Street, notching minor hits with 1986's "How Beautiful You Are (To Me)" and the next year's "Just One Night Won't Do." His final country singles -- the 1990 Door Knob releases "Bound for Baltimore" and "Father #1" -- coincided with a resurgence of interest in Downing's early rockabilly sides, and in 1994 he released Back to My Roots, a return to the sound of his formative recordings. He maintained a relentless tour schedule during the decade to follow, regularly appearing on Nashville's legendary Grand Ole Opry as well. In 2003, he issued his final collection of new material, One of a Kind. 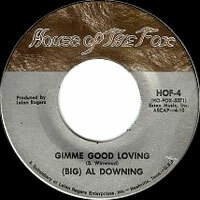 After battling leukemia, Downing died July 4, 2005, in Leicester, MA. 1993 CD ORCHARD CD 3270 (US) BACK TO MY ROOTS - Long Trucking Night / Sneaky Freaky People / Please Help Me Mama / Daddy's Words / Give A Hand To The Lady / I Always Come Back To Loving You / Everybody's Got A Dream / Don't Even Think About It / Be-Bop Cat / Love's Just A Suitcase In My Hand / Mama Was A Preacher / Don't You Want To Go To Love With Me?